On 11 Nov. 2017, the biannual meeting of Chinese National Committee for COSPAR (CNCOSPAR), a gathering of CNCOSPAR Members to summarize the past activities of CNCOSPAR and make plans for the future activities, was held at National Space Science Center (NSSC). 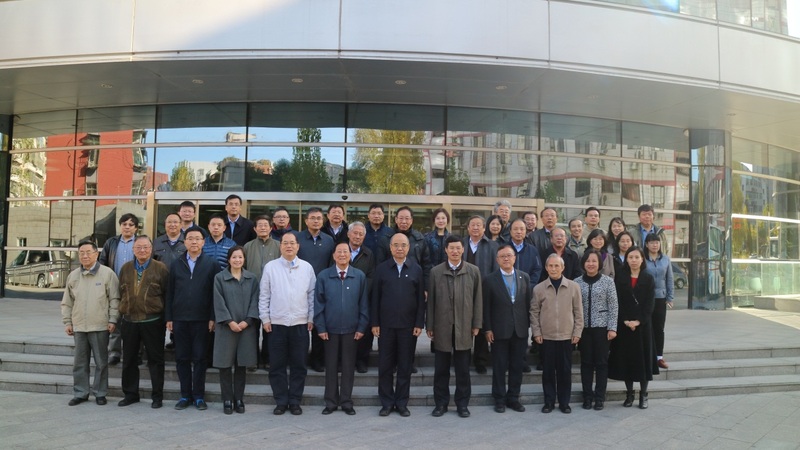 XIANGLI Bin, President of CNCOSPAR and Vice President of the Chinese Academy of Sciences chaired the meeting in which 41 CN-COSPAR members, representatives, the recipient of 2016 CAS/COSPAR Jeougjang Jaw Award and staff of the CNCOSPAR Secretariat participated. Prof. WU Ji, Secretary General of CNCOSPAR and Director General of NSSC, delivered the CNCOSPAR Work Report 2015-2017. A batch of reports were presented, including the nomination status of COSPAR awards candidates, the revision of the CNCOSPAR Charter, the selection of the next term CNCOSPAR members as well as the draft outline of the CNCOSPAR National Report 2016-2018. A wild range of opinions regarding the above mentioned reports were solicited from the meeting participants. The 57 CNCOSPAR members will serve from 2017 to 2020, among whom there are 14 academicians and 43 professors, coming from 35 space research institutes and universities. Prof. XIANGLI Bin and Prof. WU Ji will serve as the President and Secretary General of CNCOSPAR respectively from 2017 to 2020. The meeting also witnessed the award ceremony of 2016 CAS/COSPAR Jeougjang Jaw Award which goes to Prof. FANG Cheng. Prof. XIANGLI presented the award and the certificate to Prof. FANG and congratulated him for his remarkable contributions to space science in China. Prof. FANG in his remarks touched upon his early years working in Jeoujang Jaw’s team as his student and thanked CNCOSPAR for the nomination. CAS/COSPAR Jeougjang Jaw Award recognizes scientists who have made distinguished pioneering contributions to promoting space research, establishing new space science research branches and founding new exploration programs. This is the first time the award goes to a Chinese scientist since its establishment in 2006. Prof. XIANGLI concluded that CNCOSPAR is the window of crucial importance for the Chinese scientists in the field of space research to communicate with the world and serves as the bridge for the Chinese scientists to participate in the world space science activities. He mentioned that starting from 2018, the scientific data of Chinese space science satellite missions will be released to the scientific community, which will lead to substantial science output. Therefore, he encouraged the CNCOSPAR members to make full use of this important platform to enhance the international cooperation.